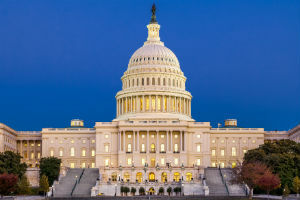 Take Action in Support of the Lymphedema Treatment Act! When lymph nodes are removed or damaged during breast cancer treatment, it can result in painful and debilitating swelling. This condition is known as lymphedema and experts estimate that from 20% to 30% of women will experience some level of lymphedema after breast cancer surgery or radiation. Currently, Medicare and many private insurance policies fail to cover the costs of the daily compression supplies people with lymphedema need to control their swelling. People who can’t afford these supplies are left with worsening lymphedema, which can lead to infections and even long-term disability. The Lymphedema Treatment Act would end this injustice by changing Medicare law to cover compression supplies—setting an important precedent for Medicaid and other insurers to do the same. All women deserve access to comprehensive lymphedema treatment. Write and call your legislators and tell them to cosponsor the Lyphedema Treatment Act. Enter your information below to take action now! As your constituent and someone concerned about women at risk of and living with breast cancer, I am writing to ask that you please cosponsor the Lymphedema Treatment Act. When lymph nodes are removed or damaged during breast cancer treatment, it can result in painful and debilitating swelling. This condition is known as lymphedema and experts estimate that from 20% to 30% of women will experience some level of lymphedema after breast cancer surgery or radiation. Currently, Medicare and many private insurance policies fail to cover the costs of the daily compression supplies people with lymphedema need to control their swelling. People who can’t afford these supplies are left with worsening lymphedema, which can lead to infections and even long-term disability. The Lymphedema Treatment Act would end this injustice by changing Medicare law to cover compression supplies—setting an important precedent for Medicaid and other insurers to do the same. Last Congress, the bill had 290 bipartisan cosponsors. I hope I can count on your support to see this important legislation passed this year. *You'll receive a call from 888-778-9648 that will provide you guidance on what to say to your officials, and then patch you through directly to them. Thank you for taking action on this important issue! Please encourage others to act by spreading the word on social media. Hello, my name is [your name] and I am a constituent of [legislator’s name]. I am calling to urge [legislator’s name] to cosponsor the Lymphedema Treatment Act. As someone [explain how you’ve been affected by breast cancer or why you are concerned about breast cancer], access to treatment for lymphedema, a condition that up to 30% of women who have surgery or radiation for breast cancer will develop, is very important to me. I urge [legislator’s name] to stand up for women’s health and cosponsor the Lyphedema Treatment Act. Thank you.